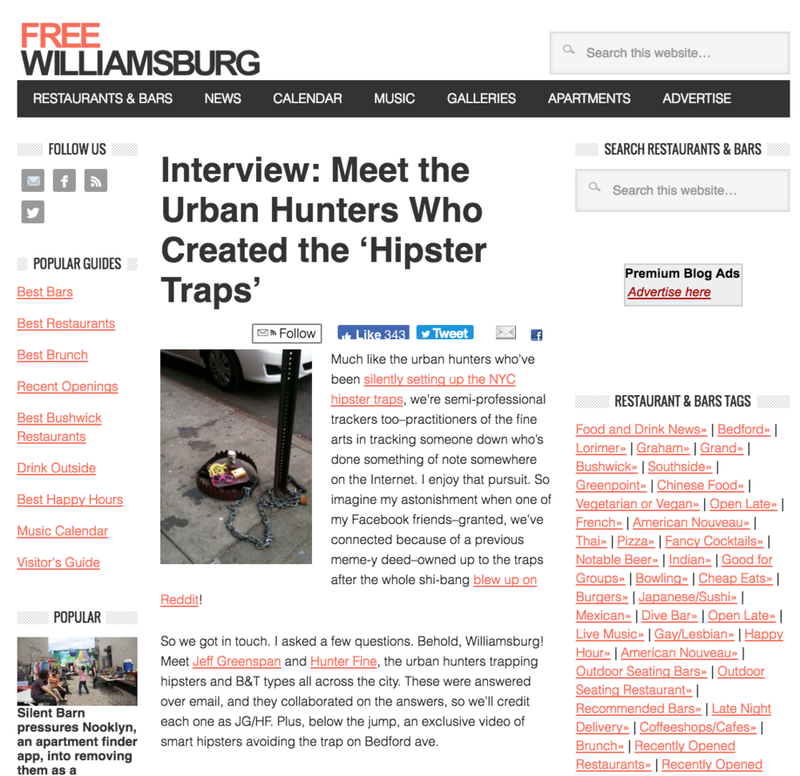 Urban Traps is a project where we laid traps for certain subcultures. Our goal was to protect neighborhoods from infestation and collect different species for further study. Created by Hunter Fine and Jeff Greenspan. is the first one we began rolling out in New York City, namely parts of Brooklyn. It had a can of PBR, a Holga camera, ironic sunglasses, American Spirits cigs, and a yellow fixie bike chain. Someone posted it to Reddit and within hours it had over 700,000 views. 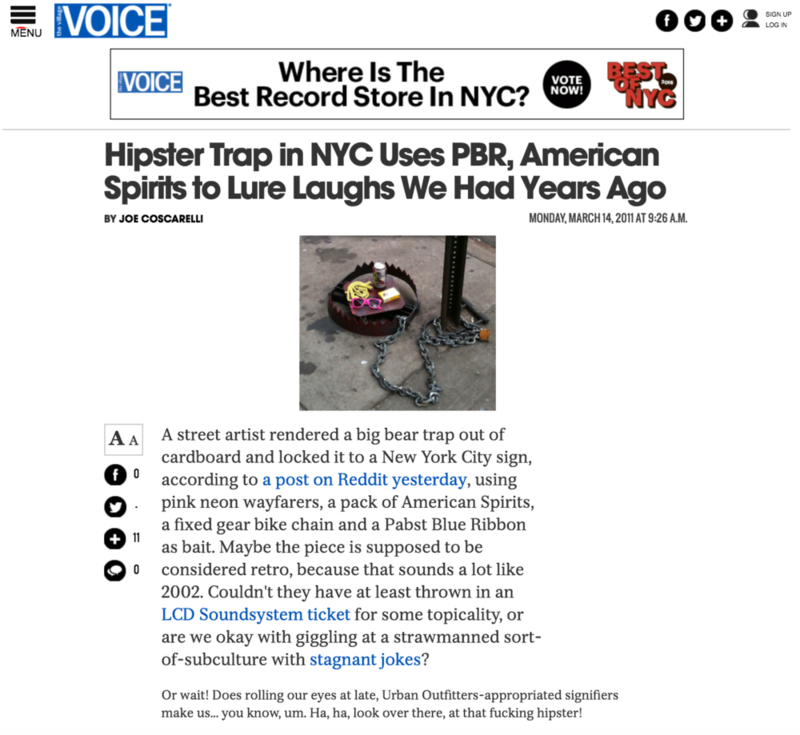 Pictures of the Hipster Traps went on to have millions of impressions through Facebook posts and Tweets over the next four years. It quickly built up steam on social media and some online publications took notice. 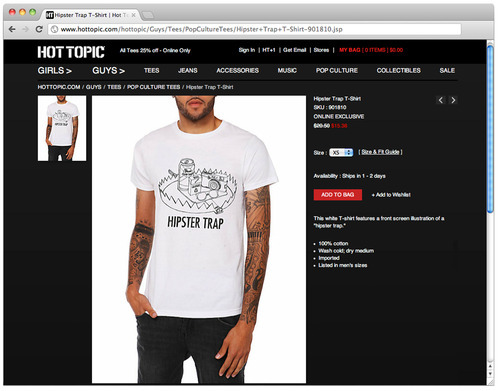 And even Hot Topic ripped us off! The next traps set were BRIDGE & TUNNEL TRAPS in the Lower East Side and in Midtown Manhattan. They contained Drakkar Noir cologne, Sunless Bronzer, Spikey Hair Gel, Path train tickets to Jersey, a Long Island Rail Road schedule, and a gold chain. 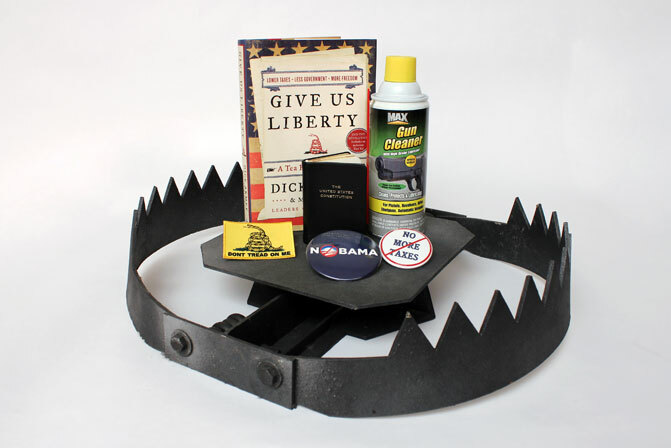 The next traps were TEA PARTY TRAPS in Washington D.C.. They had a Tea Party Manifesto book, Gun Cleaner, The US Constitution, Don't Tread On Me stickers a NObama button and a No More Taxes pin. A look into how the traps were 'made' by our production designer, Aaron Glazer.